That’s our first impression when the app was installed and launched on our phones. 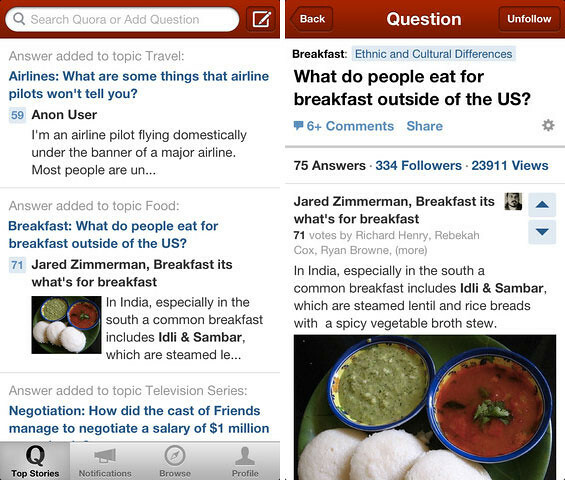 Quora, the website for users to ask and answer questions, was launched in 2010 and they have recently released the official app for iPhone and Android. We have never own an app that is so interesting yet beneficial. The questions in the app (suggested by other users) get answered by people who has the real facts and surprisingly, the topics are very interesting that it got us hooked. You MUST install it to experience the awesomeness.